The characteristics historically used to define the Abruzzesi are ‘forte e gentile’ (strong & kind), a description first penned by the C19th Italian journalist Primo Levi. But this defining blend of strength & kindness exists to this day, and the reach of its charm exceeds well beyond the borders of Abruzzo, a testament to how far & wide the people of Abruzzo have travelled the world to provide for their families. In this, the first of a new series, put together with the help of journalist Raffaella Cartledge, we take a look at the Nonni (grandparents) through the eyes of their grandchildren whose futures they helped to determine. Lily Lapenna MBE grew up in Italy, London and the US. Her mother’s parents were from Abruzzo and her father is half Abruzzese. She is the founder of the social enterprise, MyBnk which empowers young people to take charge of their future by teaching them how to handle their money and to set up their own enterprises. Since 2007, it has helped over 175,000 young people in more than 800 UK schools and youth organisations, and now works internationally in countries such as Italy, Turkey and Uganda. Nonno Peppino, my mother’s dad was born in 1920 in Teramo. 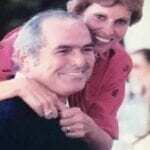 His wife Nonna Lea, was born in 1923 and was originally from Penne, in the province of Pescara. Nonno Peppino was a lawyer. From the start of his career, he decided to use his skills as a lawyer to support those less fortunate. He mostly worked pro bono and he was driven by such a strong sense of social responsibility. His clients were farmers who had issues with their land-owner, or ‘paesano’ who suffered from mental or physical health conditions. I learned about his huge social impact from people who came to visit us. He never bragged about what he did. We became close friends with everyone in the community. 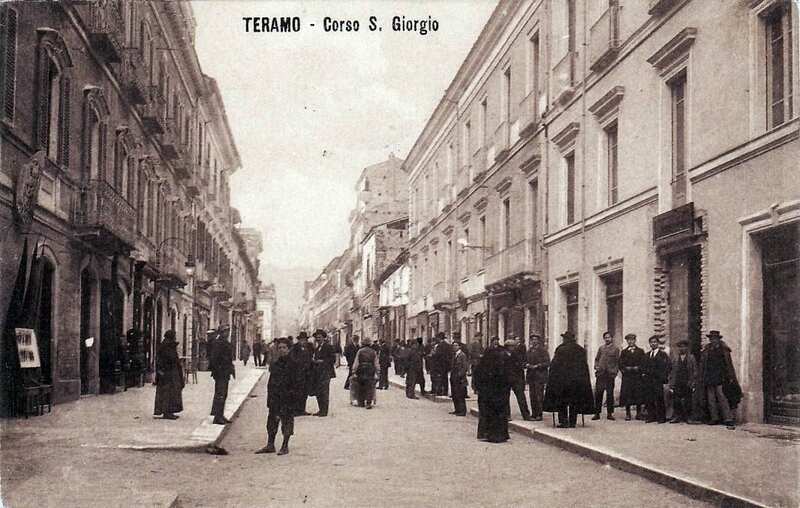 He welcomed refugees from Albania who came to Abruzzo after the war, accompanying them on their first steps in rebuilding their lives in Abruzzo. By using his strong network he was able to help find them homes and jobs. Both my Nonni became friends with the first Africans merchants who sold goods on the beach in Giulianova. Nonna Lea often invited Ali to our family table. Ali would tell us about his life in Senegal, and every year he would show us pictures of his family. He ignited my curiosity about Africa and it is no coincidence that years later in my early 20s I went to volunteer in Africa and it is where my social work started. Every Sunday Nonna Lea would take us to visit an elderly disabled lady. We would spend whole afternoons there. As children, we dreaded the idea of another visit, but Nonna would tell us stories and get us to share them with the old lady and despite her rude manners, we never skipped our visits. Nonna taught me the importance of learning from old people and the true unshakable commitment to their care, even when they seem ungrateful. Nonna often talked about “il valore di un sorriso” (the value of a smile) and it has a contagious power. She had the most beautiful smile. In their house we felt a sense of joy: Nonno always had funny stories and ‘barzellette’ (jokes) to tell. I laughed so hard and felt that complete sense of happiness that only Grandparents can bring. As per Italian tradition, the day Nonno Peppino passed away, we opened the house for two days. The casket was kept open at home. Hundreds of people knocked at our door to say their last good-bye to Nonno. Farmers came from villages that we did not even know existed, they told us their story of how Peppino had changed their lives for the better. Nonno is my moral compass. When I don’t know how to respond to one of life’s challenges, to make my decision easier, I simply ask myself how would he have reacted? If you have an inspiring Nonni story and would like to help us bring ‘forte e gentile’ up-to-date, please do email us with your story. Does the tradition still continue today of having deceased family members in casket at home for people to pay their respect? Or, has it changed to having the deceased loved one shown at a funeral home? In our village people pay respect to deceased family members at home, but that could be different in the cities in Abruzzo. Good people all around. Great project. Beautiful article! My grandpa came to America from Pescara when he was a young man. He was the most resourceful and generous person I’ve known. He brought his chitarra with him and as a kid, I would love to sit and watch the pasta being made. The food was amazing. He hosted huge dinners at his house for all holidays with family from Abruzzo attending. I wasn’t lucky enough to have memories from living in Abruzzo, but was lucky enough to have so many great memories with grandpa and family in America. Lovely article, my grandparents were from Sulmona, miss you Nonni and Papa Joe. Yes, there were parts in Lily’s story that reminded me straight away of my neighbours, we’re lucky to have been on the receiving end of that kindness and that generosity! My grandparents were from Calascio. I spent a lot of time with my grandmother. They did not tell me many stories from Italy, but stories of their life on a farm in America before settling in a Pennsylvania mining town. Thank you for the charming article. My Italian grandparents (Tossicia and Isola de Gran Sasso) both died when my father was quite young so I do not have these memories. But I am noticing so many common traits of people from Abruzzo. Strong and kind, seems to hold true. She’s amazing, I’d love to know too! I’ll see if I can find out anything, I have just done a search and come back with a big fat 0. Anna I think you could elaborate a little more and we include your story, what do you think? Thank you for this article. My family is from OPI. Just love this article Sammy ….may I share it? Yes please, I am sure you have a few guests that could share their story too! Thank you. Quite possibly. Would you like to to enquire? Russell Griffiths If you could ask that would be amazing and a brilliant way to help illustrate the influence of the region and its people.